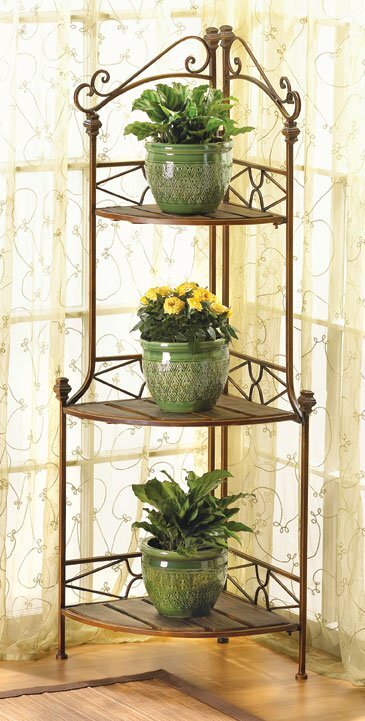 This is for an elegant rustic metal and wood corner baker's rack storage shelves from Shopatusm. Tuck this lovely shelf into a drab corner, add your favorite collectibles or plants, and you've got an instant designer display! Warm wood tones and ornamental scrollwork add timeless style. Weight 12 lbs. Wood and metal. Plants not included. 14 inch x 14 inch x 47 inch high.